The Rivanna Greenbelt Marathon is officially certified by the USATF (VA14004TR) and therefore can be used as a Boston Qualifier. The course is 6.5 "loops" of the 4-mile trail beginning at Riverview Park and following along the river on the Rivanna Greenbelt Trail. The inaugural race was September 6. The next race is Saturday, October 4, 6:30 a.m. Currently, this is a MARATHON ONLY, with a limited number of registrants (minimum 10, maximum 20) and a time-limit (see below). The marathon is FREE to MHMTP participants. There will be a nominal fee of $30 for this no-frills race for other runners. *Please note: Because of the early start time and for safety reasons you will need a headlamp or flashlight for the first 2-3 miles, expecially if it's overcast. There will be two water/gatorade stops along the course that runners will have access to every two miles. They will be located near the start/finish area and the 2 mile turn-around point. Please be prepared by bringing your own gu/gels. We will only have clif bars at the finish (the 2-mile water stop will NOT have any food). If you'd like to bring your own labeled bottles of sports drinks or nutritional supplements, you can leave them on the water tables to grab during the race. There are two porta-potties available near the start/finish of the course. The course is NOT closed to the public during the race, but luckily since it's a trail, we don't have to worry about cars! MHMTP participants will also be running on the course between approximately 6:45 a.m. - 9:00 a.m. This is a low-key, no-frills, bare-bones race, therefore no shirts or medals will be provided as part of registration. We will email you a certificate of completion to print after the race. However you may purchase your own shirt with the race logo on spreadshirt.com. Due to the limited size of each race, runners will only be able to register for the Rivanna Marathon once a year. Exceptions may be made if field limit is not reached. 4.5 hour time limit - 10 spaces left! Volunteers are essential to the success of this race! We need volunteers to help document splits at each of the three turnarounds. We also would like volunteers to help with setting up and managing the water stops. All volunteers receive a FREE CTC technical shirt (long or short sleeved). If you can volunteer for the entire race you get TWO shirts! 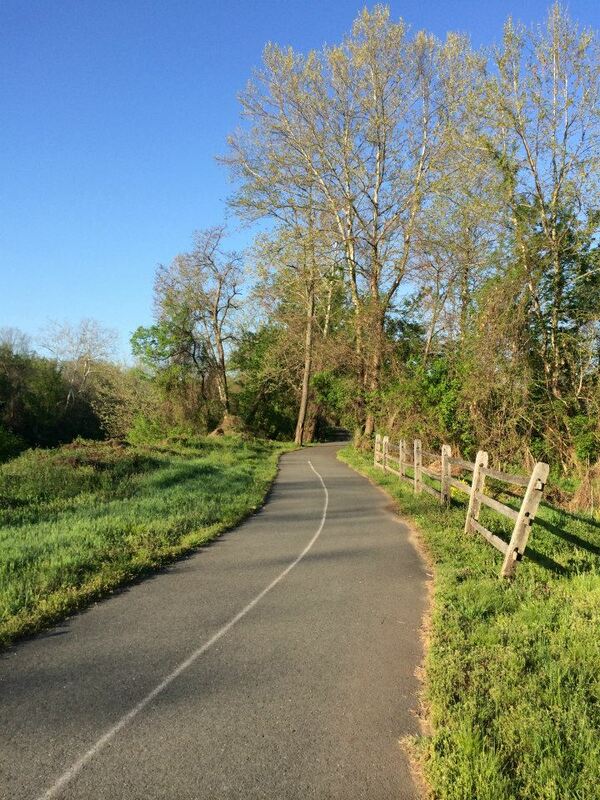 Sign up to be on the mailing list for future dates for the Rivanna Greenbelt Marathon series. This event is directed by an RRCA Certified Race Director.